I have been able to create custom sidebars with the sidebar creator and widgets. I am having trouble determining how to place a sidebar into a page. 1. how do I go about changing the settings of a specific page so that the size of a side bar can be eliminated or changed? 2. How do I enter a sidebar into the area created in question 1 above? I have determined how to add a sidebar into a page. please see the following page that I have added identical left and right sidebars to. there is " unused" space on the left of the left sidebar and on the right of the right sidebar. How can I use this open space.? The size of the sidebar can't be changed. A page/post can either have it or doesn't. 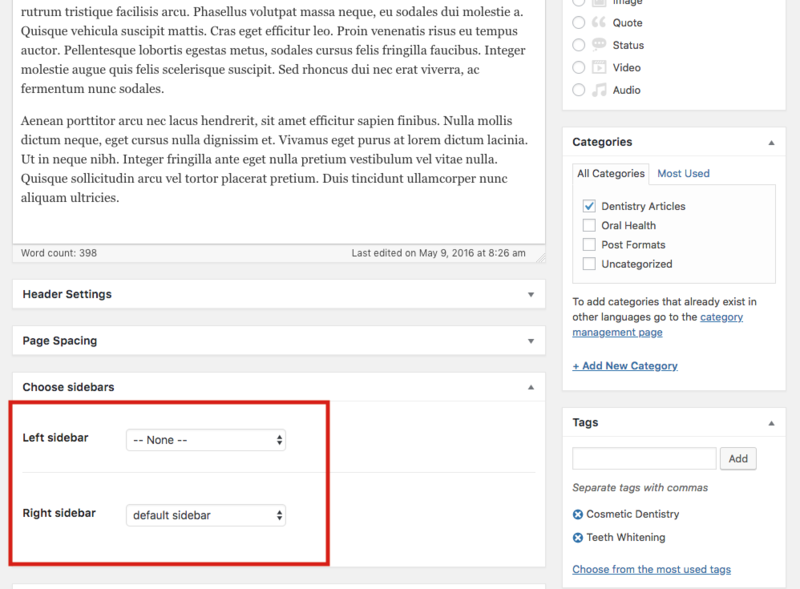 Sidebars are mostly used on those pages/posts, which aren't built with the page builder, but with a classic editor. If you want finer layout control on your page, you can use page builder layout instead of sidebars. If you set it to -- None -- This means, no sidebar. So in the example on the screenshot, there is a site with a right sidebar (default sidebar will be used). Widget are placed into this sidebars in the Appearance -> Widgets.